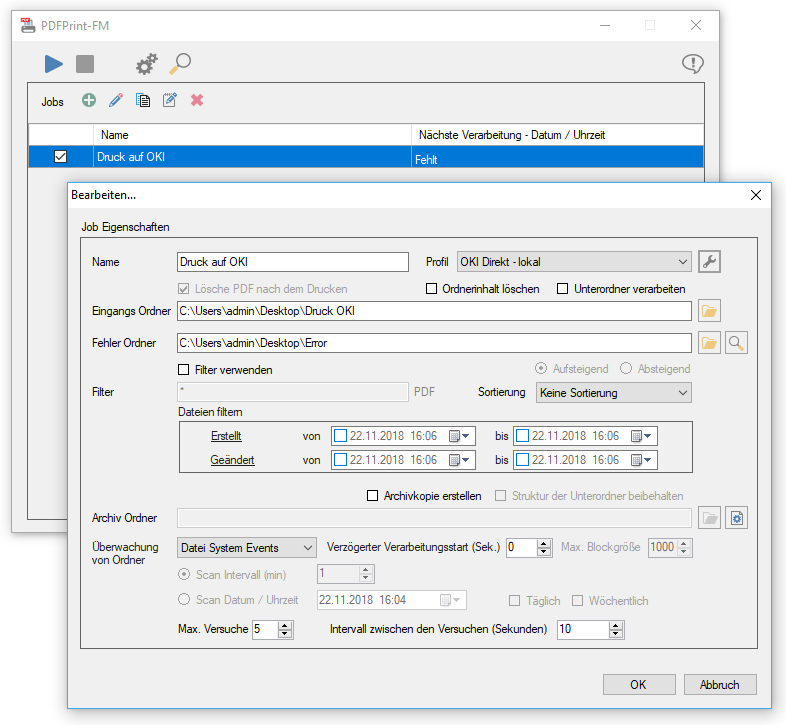 Print PDFs either directly or via the PDF2Printer print server to locally connected or network printers. eDocPrintPro PDFPrint Plugin 1.1.0 is now based on the current PDFPrint .NET component. 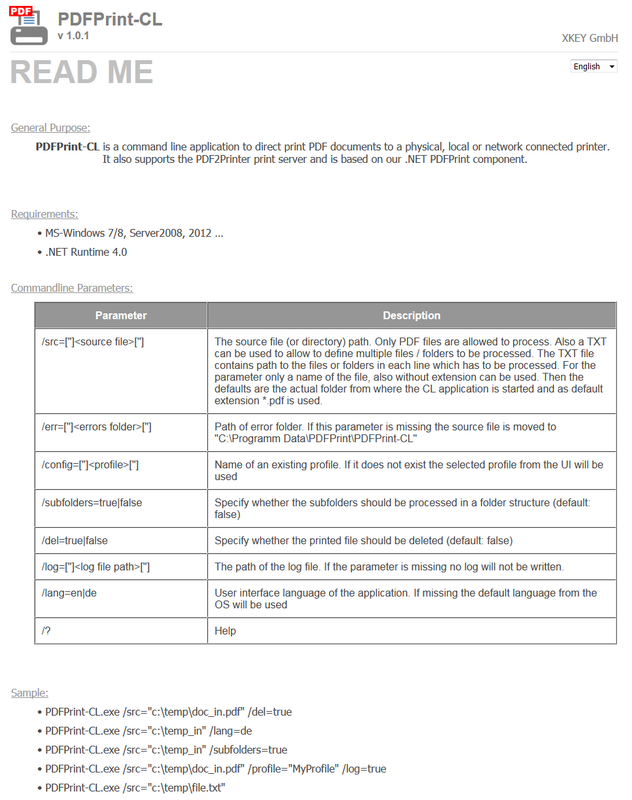 The eDocPrintPro PDFPrint Plugin requires .NET Runtime 4.6 as of version 1.1.0. The setup checks if this version is present and if not it will automatically be downloaded and installed from the internet during the installation process. .NET 4.6 Runtime is already available with Windows 10. 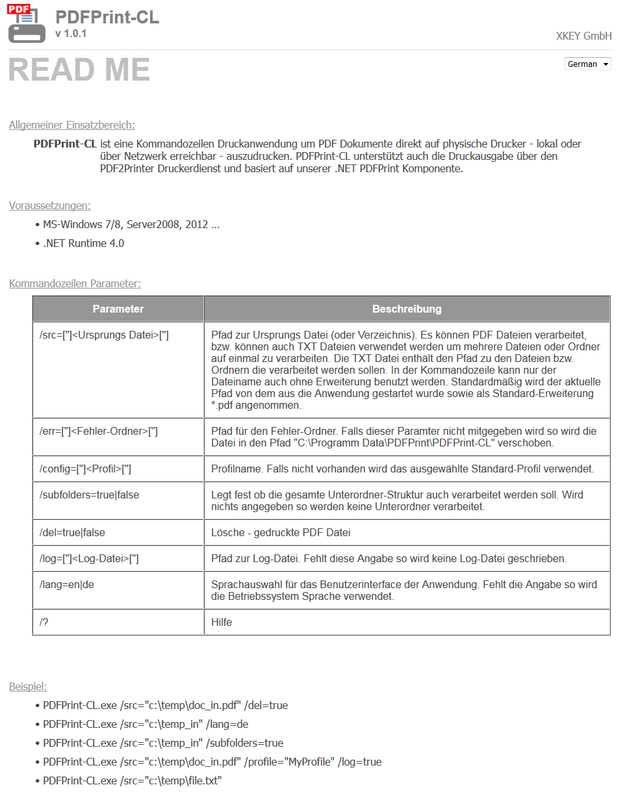 The PDFPrint-CL version 1.2.4 is now based on the current PDFPrint .NET component. PDFPrint-CL requires the .NET Runtime 4.6 as of version 1.2.4. The setup checks if this version is present and if not it will automatically be downloaded and installed from the internet during the installation process. .NET 4.6 Runtime is already available with Windows 10. 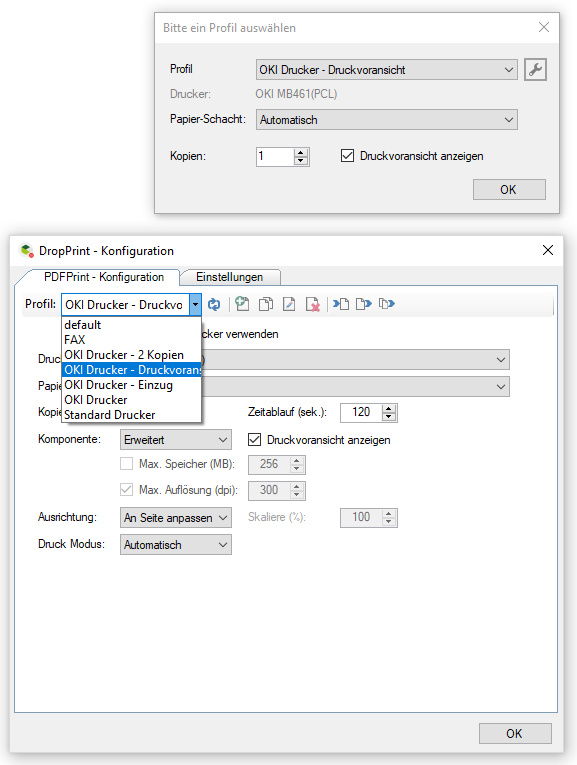 PDFPrint-FM version 1.2.4 is now based on the latest PDFPrint .NET component. PDFPrint-FM requires the .NET Runtime 4.6 as of version 1.2.4. The setup checks if this version is present and if not it will automatically be downloaded and installed from the internet during the installation process. .NET 4.6 Runtime is already available with Windows 10. The PDFPrint .NET component is used to print PDF’s, without having Adobe Reader installed. 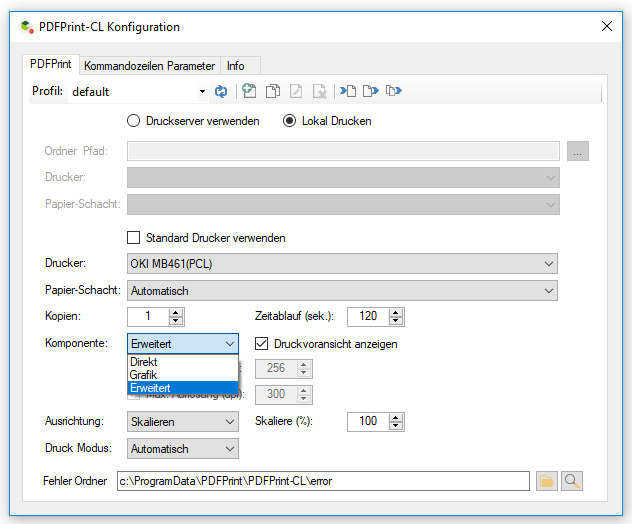 PDFPrint is available in the product variants – FM- Folder Monitoring, CL – Commandline, CS – Web-Service and eDocPrintPro Plugin. Number of copies adjustable (for direct printing as well as for the PDF2Printer print server). Multiple copies are no longer printed multiple times, but sent directly to the printer together with the required number of printouts as a single job. New additional “Advanced” printing method which supports all functions including an interactive print preview. Interactive print preview with the ability to subsequently and interactively change the parameters – Printer, Printer Settings, Number of Copies, Sorting, Page Range (All, Current, From/To), Page Size (Adjust, Actual Size, Scale), Orientation (Auto., High, Cross), Paper Source, Print to File (Select Destination). Based on the PDFPrint component, PDFPrint Service CS is now also available. 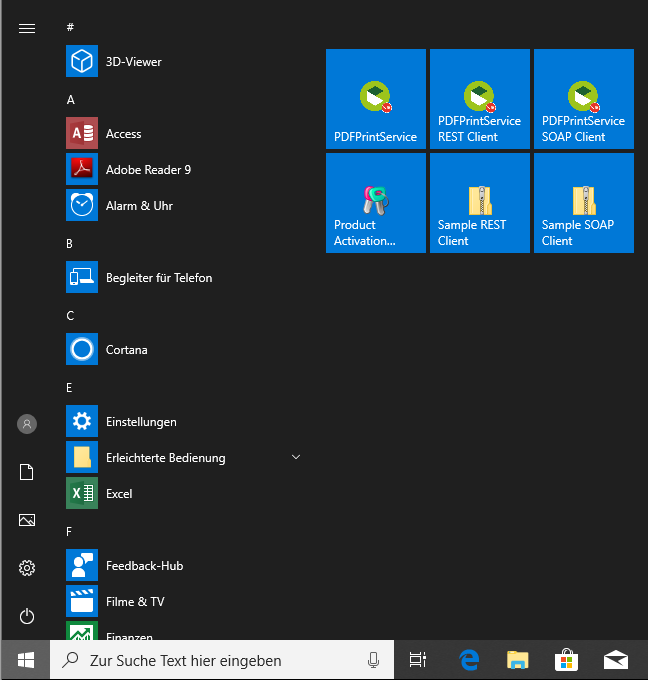 It is installed as a MS-Windows service, offers a REST / SOAP Web-Service interface and makes it possible to print PDF files via HTTP / HTTPS communication on another computer. 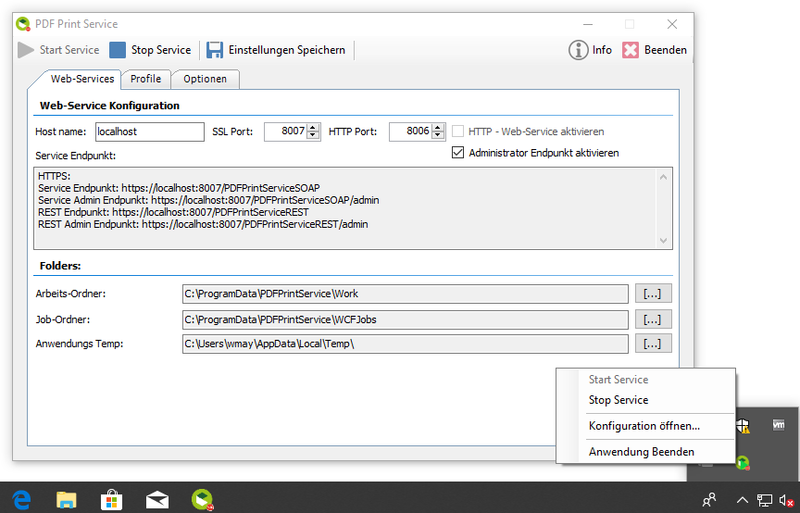 Together with the main application, C# sample projects for SOAP and REST including source code and executable applications are installed. With the help of these examples, all functions provided by the PDFPrint Service CS can be tested and quickly integrated into your own applications. 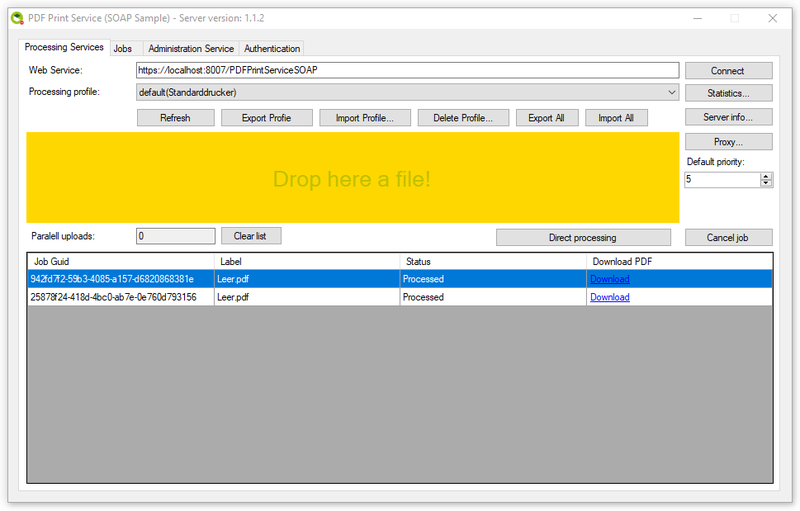 In addition to this PDFPrint Service CS version, PDFPrint FM (Folder Monitoring), PDFPrint CL (Commandline) and a PDFPrint eDocPrintPro Plugin are also available. 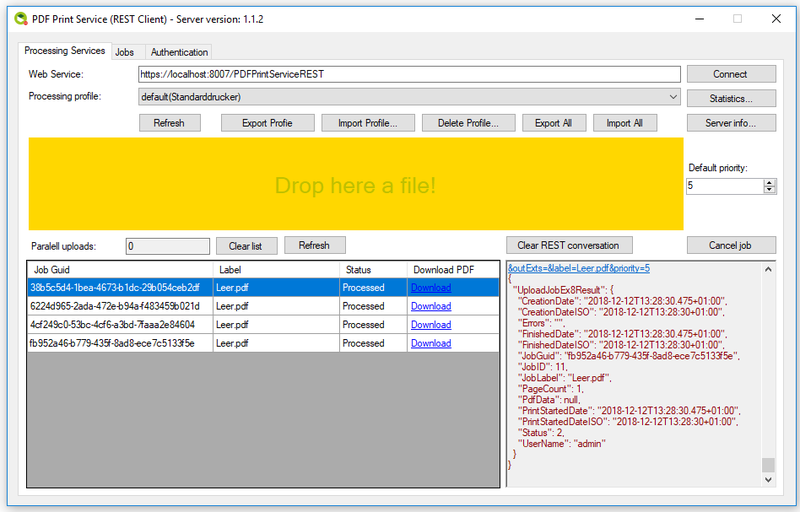 REST and SOAP – Web-Service interface, compatible with all our other web service applications, such as: FileConverterPro (FCpro) or AutoOCR. Enables PDF’s to print remotely via HTTP/HTTPS on another computer. Selection of the printer and the print parameters via profiles stored on the server. 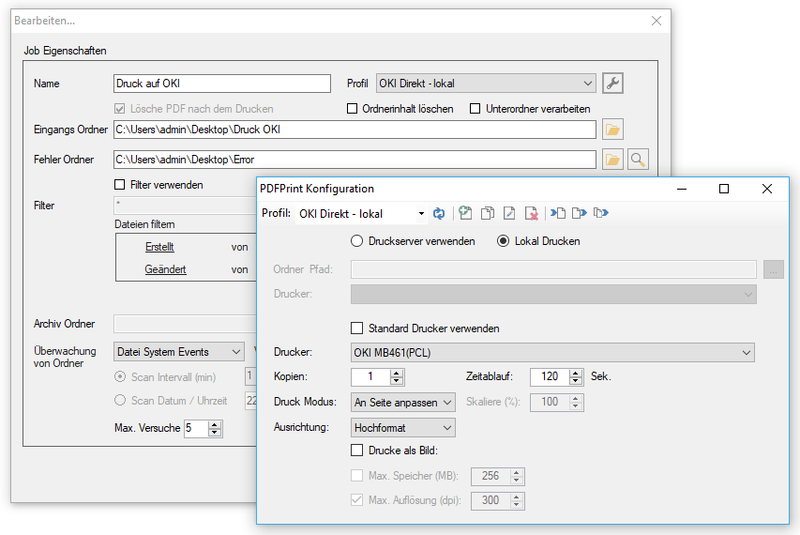 Supports the PDF2Printer print server. 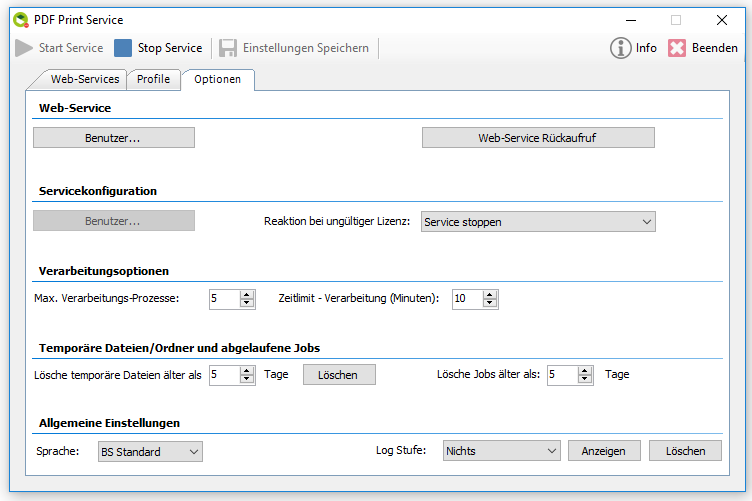 All settings are managed via profiles (XML files) on the server – Profile: New, Copy, Change Name, Delete, Export, Import. Print based on the PDF elements – for fast and resource-saving output or as an image file rendered from the PDF. Selection of available printers by name or using the default printer. Adjustable max. resolution and max. memory for the rendered image file. Specification of the numer of copies. Print Mode: Fit to Page, Original, Reduce. Scale print output – in % – when output as an image file. Orientation – Portrait, Landscape or Automatic – when output as an image file. 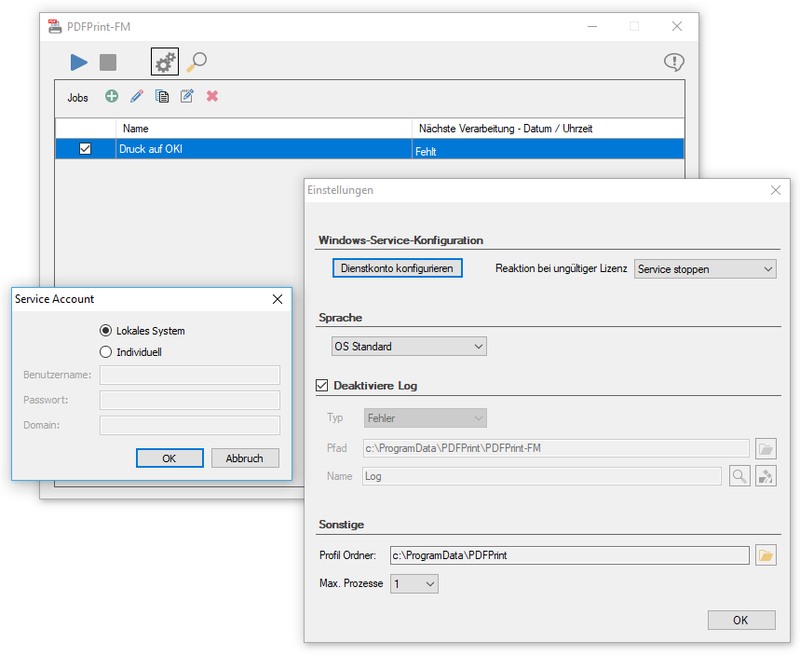 Based on the PDFPrint component, PDFPrint-FM is now available as a Windows service with folder monitoring. Inbox folders are monitored and all newly added PDF’s are either printed directly or via the PDF2Printer print server to locally connected or network printers. 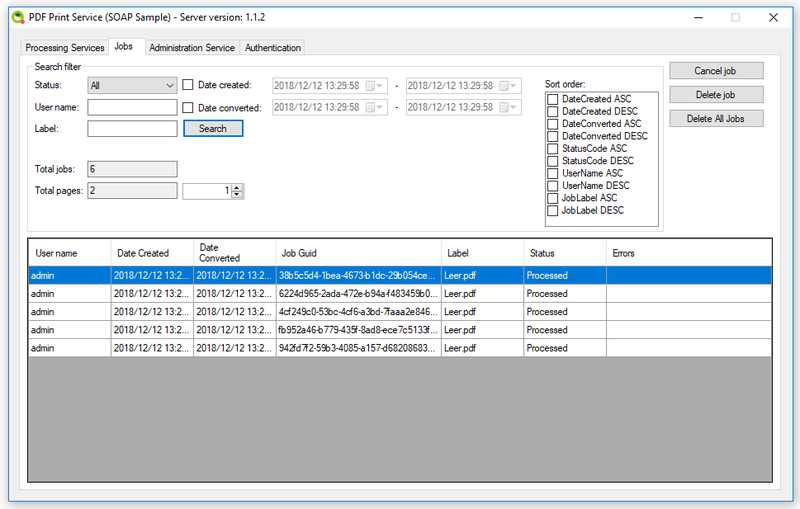 In addition to PDFPrint-FM (Folder Monitoring), PDFPrint-CL (Commandline), the PDFPrint eDocPrintPro Plugin, and a PDFPrint Service Version with REST / SOAP interface are also available. Several jobs can be created to monitor multiple inbox folders. Prints PDF’s directly to locally connected or network printers. 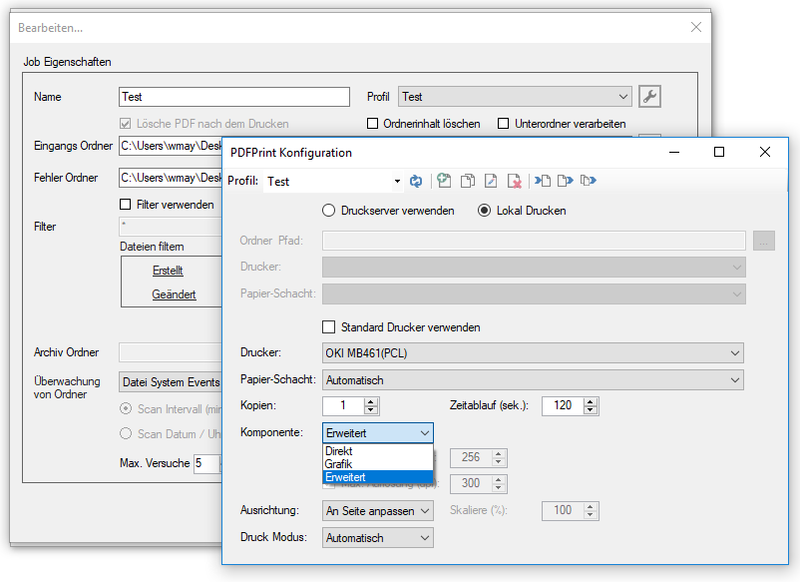 Supports the PDF2Printer printer server. 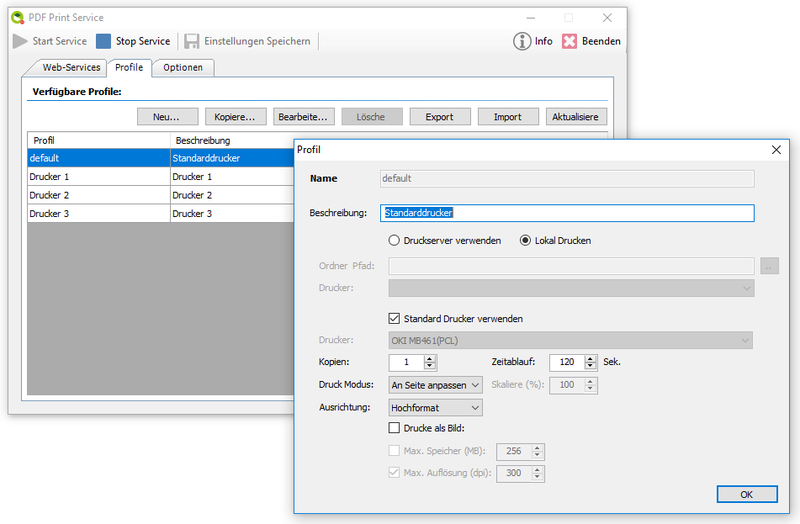 All settings can be managed via profiles (XML files) – Profile: New, Copy, Change Name, Delete, Export, Import. Print based on PDF elements – for fast and resource-saving output or an image file rendered from the PDF. Specification of the number of copies. Scale print output – in % – when output as image file. 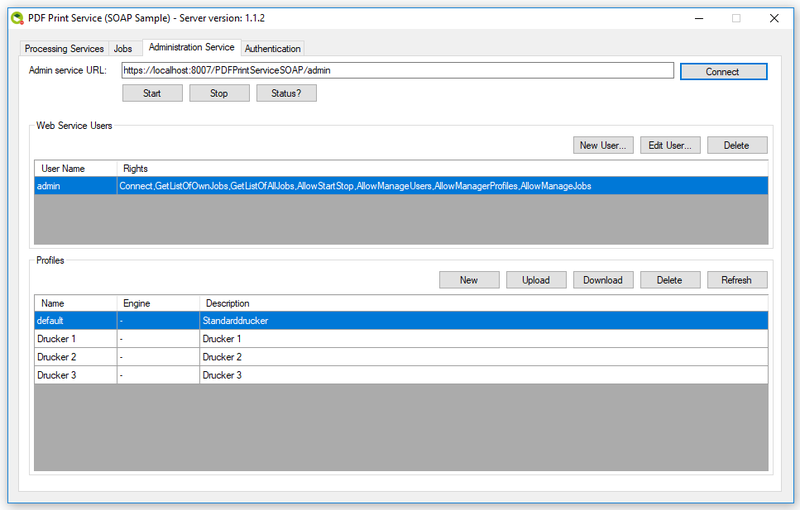 Based on the PDFPrint .NET component, in addition to PDFPrint-FM (Folder Monitoring), PDFPrint-CL (Commandline) and the PDFPrint Service application, an eDocPrintPro plugin variant is now also available. 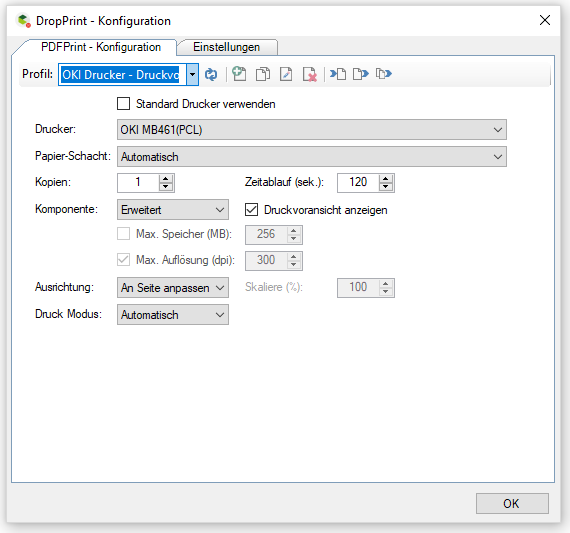 The PDFPrint plugin is the successor to the previous AutoPrint plugin. 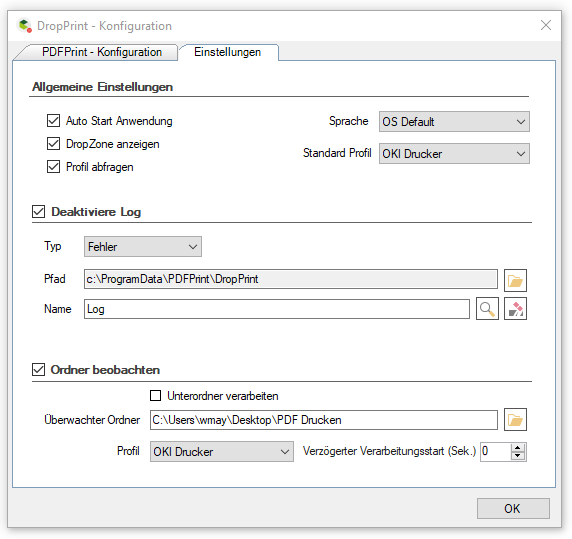 eDocPrintPro printer driver plugin to print PDF’s automatically. Option – Offer a profile for selection before printing. Print basend on the PDF elements – for a fast and resource-saving output or as an image file rendered from the PDF. PDFPrint-CL is a command-line printing application to print PDF documents directly on physical printers – locally or remotely. 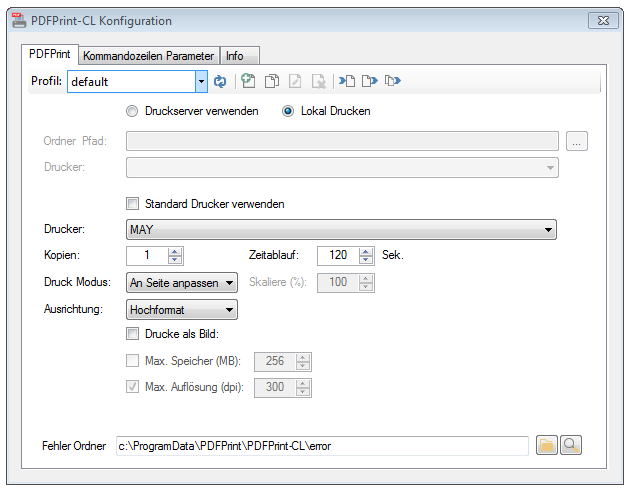 PDFPrint-CL also supports printing through the PDF2Printer printer service and is based on our PDFPrint – C#/.NET component. Command-line application, several times in parallel callable. Prints PDF’s directly on locally connected or network printers. Supports the PDF2Printer printer service. Print based on the PDF elements – for a quick and resource-saving output or as an image file rendered from the PDF. Scale printing output – in % – when output as an image file. Orientation – portrait format, horizontal format or automatic – when output as an image file.